This information is referenced in the About Connections article. If you're just getting started, be sure to start with that article first. This article provides detailed information on the ways you can implement and use connections in your app. Once you have added your connection and defined how your connection works with your objects, now you can connect your records together. It is important to note that connecting two objects together does not automatically connect the records in those object. These will need to be individually connected by assigning those connection field's values. Connection fields work like lookups, sometimes called dropdowns, so when you edit a record, you can use that field to look up which record(s) to connect it to. 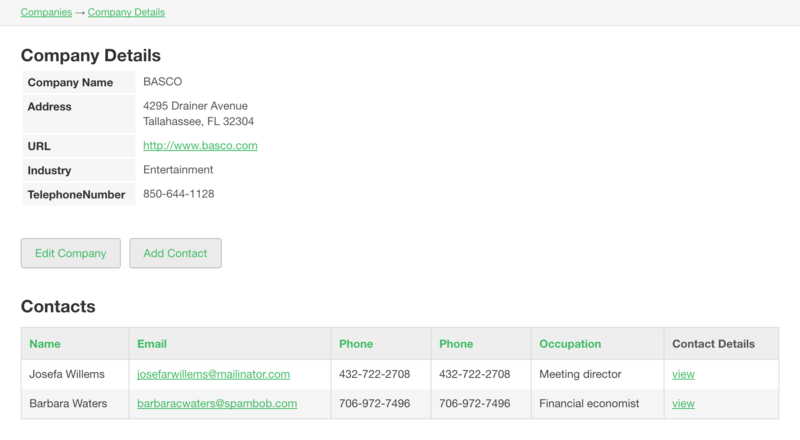 Each company record will be available in that dropdown to connect the contact record to. When editing a connection field, the records from the connected object show in a dropdown with the value from that single field. This is called the display field and each object has a designated display field. You can change this field by updating the display field for that object. Select the object, go to the "Settings" tab at the top of the Builder. There you will be able to change the Display Field setting. In the example below, the connection's display field is the Company Name field. If your fields changed a lot, you may field the connection field shows "Undefined" instead of the connected record. Go to the display field of the connected object, change it, save, and change it back to what you want. You will now see the connected record display properly in the original object. You can define connections when importing new records into your app. This is done by matching against a common value during your import. For example, if you are importing Employee records, you could connect each Employee to a Company by using a column like "Company Name" to match against a company record and connect to that record. Formula fields are special fields that run calculations on connected records and stores the result. For example, you could store the count of students connected to a class, or the average sale connected to an employee. Click here for more on formula fields. Click here for more on equations. In the example above, you'd multiply the connected Price field from Product object by the Qty field in the Line Items object. Click here for more on showing records connected to the logged-in user. Click here for more on displaying connected records. 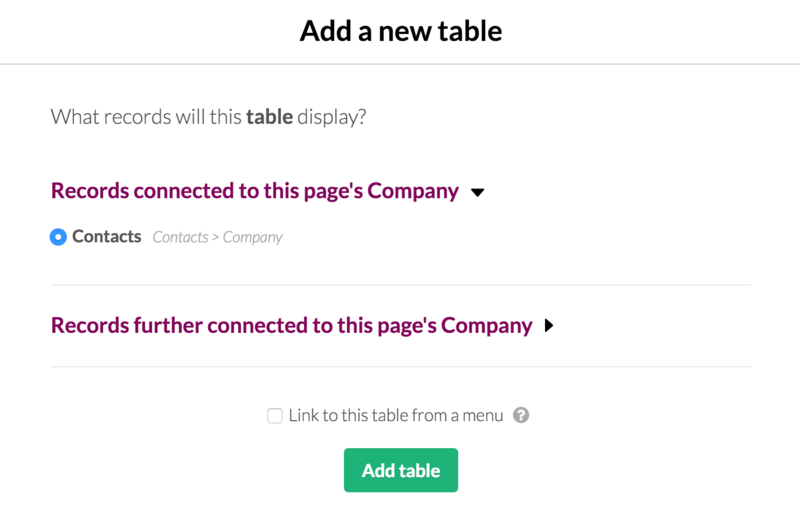 Similar to the example above, you can also add a form view to add a connected record. When you add a new record with a form, that connection is automatically set based on the parent record being viewed. When you display records in a view (such as a table or list), you can include fields from other connected records. 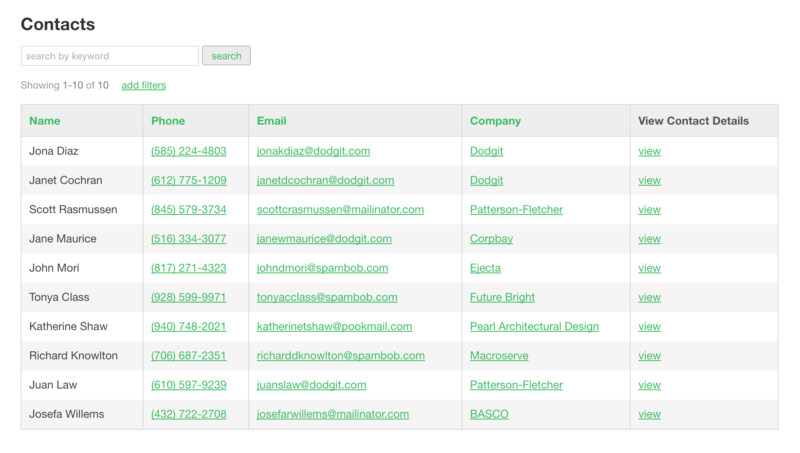 In the example above, you could include fields from the company record each contact record is connected to. You can learn more about using dynamic dropdowns in your forms in our support article here. Determines how each value in the connection field will display. Options include Comma-separated, or New Line. Allows you to choose an existing page for the object the connection links to. Adding a link will make each value its own separate link to view more information about that record.